Thorough link analysis provides several important types of information. Some of this information reveals existing or potential problems which should be addressed quickly. Data uncovered by the link analysis can enhance Internet marketing and link building strategies. It enables damage control: A website with unnatural or otherwise inappropriate links is vulnerable to penalties imposed by search engines. In extreme cases, the site could even be de-indexed. If appropriate follow-up action is taken promptly, a link audit can reduce the likelihood of search engine penalties. You’ll gain important knowledge about the websites linking to yours. This will prove to be helpful with strategic planning. You’ll understand which parts of your website attract the most inbound links  and which parts need improvement. You’ll be able to devise more successful link building and Internet marketing campaigns. An SEO link audit will also uncover existing “technical” issues, some of which might severely impact your SEO efforts. The details of these technical issues (and how to correct them) are beyond the scope of this article, but addressing them promptly can significantly improve a website’s organic search results. In some cases, inbound links (or even internal links) lead to pages that will never resolve. This results in the dreaded “page not found” message. It’s not impossible for a popular website to have thousands of relevant inbound links to one or more pages that fail to resolve. In addition to wasting valuable link power, this situation can frustrate site visitors. 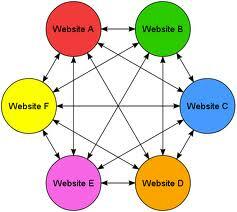 Similarly, an inbound link can lead to the canonical or non-canonical version of a web page. When links are split between the two versions, you have a canonical issue: the inbound link power will be split too. One recent canonical issue discovered by an SEO link audit involved three versions of the same page. More than 4,000 inbound links were split among the three versions. In my opinion, this is a terrible waste of link power. The best time to perform link analysis is NOW! Identifying potential issues and correcting them quickly is always better than fixing them after they cause major problems. That’s why I suggest being proactive and conducting SEO link audits periodically. I also suggest one as part of your planning for any new Internet marketing services. Do you simply want a general overview of the website’s link status? In other words, are you looking for information that can be used in planning future Internet marketing and/or link building campaigns? Are you trying to identify the strongest and weakest portions of your website? Do you want to see how your site stacks up against the competition in your niche (competition analysis)? Has your website’s traffic dropped precipitously? Has it been penalized by the search engines, either by being ranked lower in the SERPs or by being de-indexed? Are you trying to identify problematic inbound or internal links for general clean-up purposes and to prevent future SEO issues? For example, we would evaluate a site’s backlinks when we are conducting an SEO link audit intended to identify why the site’s traffic has suddenly hit the skids. We would use the same strategy to discover why a site has been penalized by Google or another search engine. I’ve obtained excellent SEO link audit results by using Google Webmaster Tools. Many SEO experts use it to analyze a site’s incoming links. The Webmaster Tools “unnatural links” warnings help when you’re trying to avoid search engine penalties for inappropriate links. And if a site has already been penalized, I use Webmaster Tools to examine the incoming links the site acquired shortly before the penalty hit. Similarly, Webmaster Tools can be used to try to identify the cause(s) of a sudden drop-off in your website’s traffic. That’s especially helpful right after a major algorithm update. Relevant incoming links from other sites in your industry can improve your website’s search engine rankings and create more traffic. However, other types of incoming links can do exactly the opposite. These inbound links can negatively affect your SEO and Internet marketing campaigns, not to mention your site’s overall status with the search engines. Unless the problem is immediately obvious, manually examine each of the links on your backlink list. Don’t automatically seek removal of all low-quality links  some of them may be highly relevant to your site and come from websites on the upswing. In the future, they may become an important source of traffic. On the other hand, I’d request the removal of links from any of the four “danger sign” types of sites mentioned above. I’d do this as quickly as possible, before your site crashes and burns because of them. I hope that this Internet Marketing Guide will help you understand the importance of an SEO link audit and how you can take steps to improve your website’s link profile. It can also reveal existing SEO issues, some of which could be quite serious. Once you take appropriate action with regard to the information revealed by a thorough SEO link audit, your SEO and Internet marketing campaigns should be more successful.